I’m Baaaacckkk and here to welcome 2013! I am back after a very long absence. Lots of life changes happened and that precious gift of “time” eluded me. Jobs, children, lessons, responsibilities, commitments…you get the drill. I’m sure you’ve “been there” too. I got busy and distracted and a little off course. But I am reminded of what I LOVE so much about THIS DAY. It is unlike any other that has come before. It is THE day for fresh starts and new beginnings. It is a day that is forgiving of what WAS and open to what IS. It is our day to seize, and to begin again as if it were the first time. I am happy to be back here in this space with you and with so much juice and yumminess to be shared. Thanks partially to our new friend 2013 and her faithful greeter January 1st. Oh I know it’s JUST a day…but it really is a time to reflect on what’s working, what isn’t and what is calling my name, my heart, my soul. You guessed it…this community of AMAZING people is calling me and I am ever so grateful to all of you for being here, writing me, sharing your stories and asking for more. I am cooking up lots of exciting things as I enter this year of expansion and LIVING FULL ON! I launched my first ever newsletter today!!! YIPPEE!!! Can’t tell you how long I thought about that one so to finally release it feels sooooo goooood! I got my new headshots taken for when I expand my website (oh yes that’s something else I’m working on). And I am finally expanding my coaching business (thank you for all your requests). I look forward to working with more people and to helping you start living the life you LOVE. So many more exciting new things are in the works I will be sharing in the coming days and weeks. 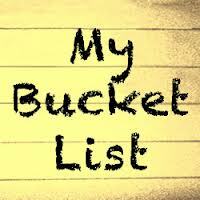 Little by little, one step at a time, I am checking things off my bucket list and loving it! We are in this life together, connected in some magical way. It is good and wonderful. And I remain ever-grateful. Stay tuned…there is so much amazingness ahead. Make it your best day ever! Wishing you an amazing 2013! Welcome back! Hello Heather – what is your question?